A new floor is a great investment for any home or business. Snead Wholesale has a huge stock of quality flooring materials at unbeatable prices. We also offer kitchen cabinets, doors, and vanities to residential and commercial customers in Huntsville, Alabama, and throughout the Southeast. Discover a range of long-lasting, cost-effective flooring products at our store. We carry tough, waterproof LVT (luxury vinyl tile), which is a perfect material for kitchens and bathrooms. We also have linoleum and a wide selection of laminate in 30-40 different colors. Our commercial flooring materials are great for any location, from office buildings to hair salons. With new flooring coming in every week, there's always something new to discover. Whether you want something cozy or elegant, you'll find it at our store. We carry carpet, engineered hardwood, and other types of flooring-all at great prices. 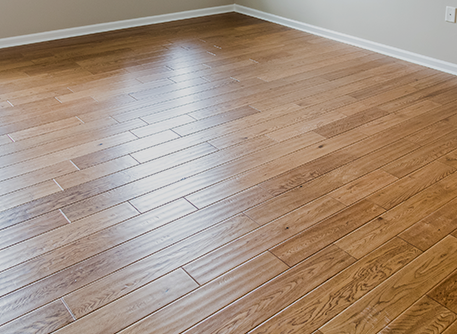 Our flooring is quick and easy to install, so you can save even more by doing it yourself. Engineered Hardwood - 3/8" - 9/16"
Choose a flooring material that will stand up to anything. 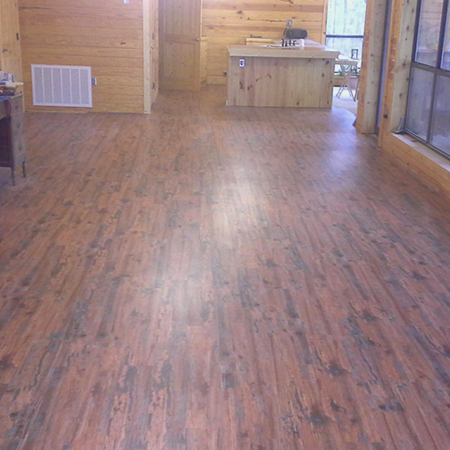 The manufacturer offers a 25-year warranty on residential flooring and a 15-year warranty on commercial flooring.